Kind and well-respected, Dr. Ava Chen graduated from UCLA with a bachelor's degree in Biology. She then went on to earn her dental degree from the University of California, San Francisco school of Dentistry, one of the top three dental schools in the nation. 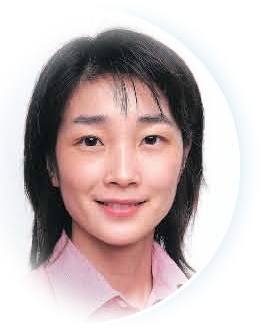 Dr. Chen has been in full-time practice since 1999. She lives and works in the Castro Valley and actively volunteers for local schools and communuties. Dr. Victor Kvikstad has been caring for the smiles of families in the Castro Valley for over 30 years. After earning his dental degree from the University of Minnesota Dental School, Dr. Kvikstad served as a dental officer in the U.S. Navy at Alameda Naval Air Station. In addition to practicing dentistry, Dr. Kvikstad also serves as a clinical instructor at UCSF where he teaches 3rd and 4th year dental students. In order to provide their patients with the best dental care possible, Dr. Chen and Dr. Kvikstad believe in keeping up to date with the latest advancements in dentistry.To this end they participate in many hours of continuing education programs each year. They are also members of the American Dental Association, the California Dental Association, the Southern Alameda County Dental Society, and the Castro Valley Chamber of Commerce. While the doctors continue to pursue excellence in dentistry, they also place great emphasis on being honest, gentle, caring dentists who put their patients first. Dr. Chen and Dr. Kvikstad are true “family” dentists, both with children of their own. Everyone is welcome at their office, from seniors to adults to children — so bring the whole family along!